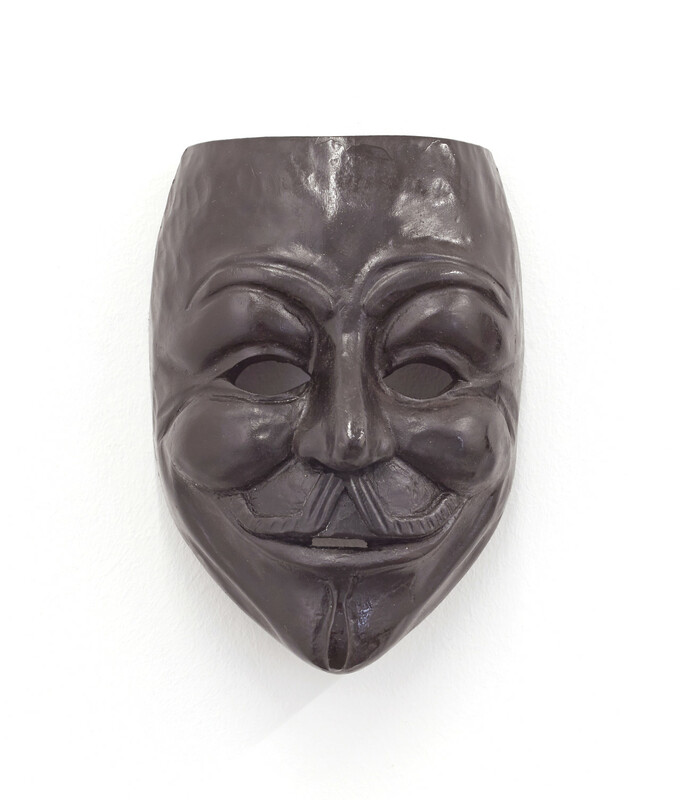 These five V for Vendetta masks are based on the Guy Fawkes mask worn by the protagonist in the graphic novel V for Vendetta. 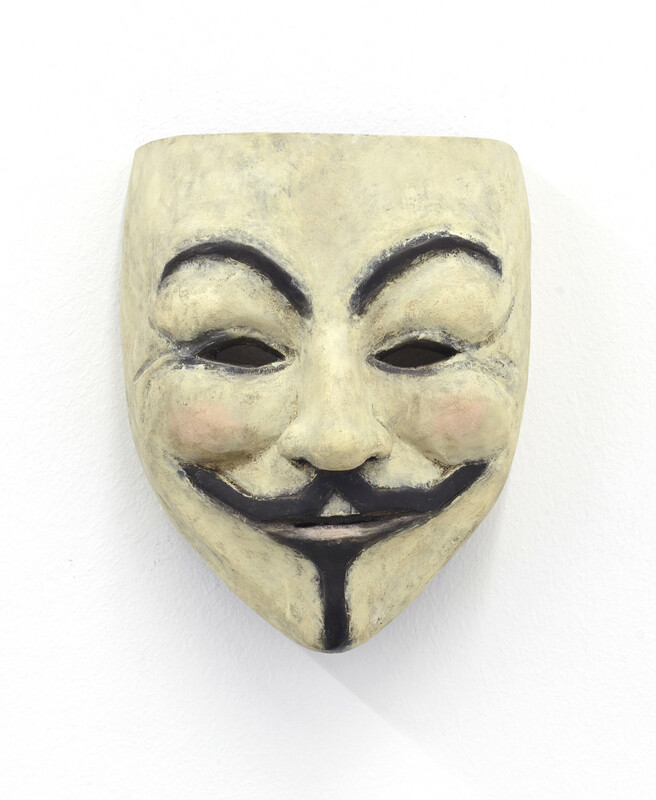 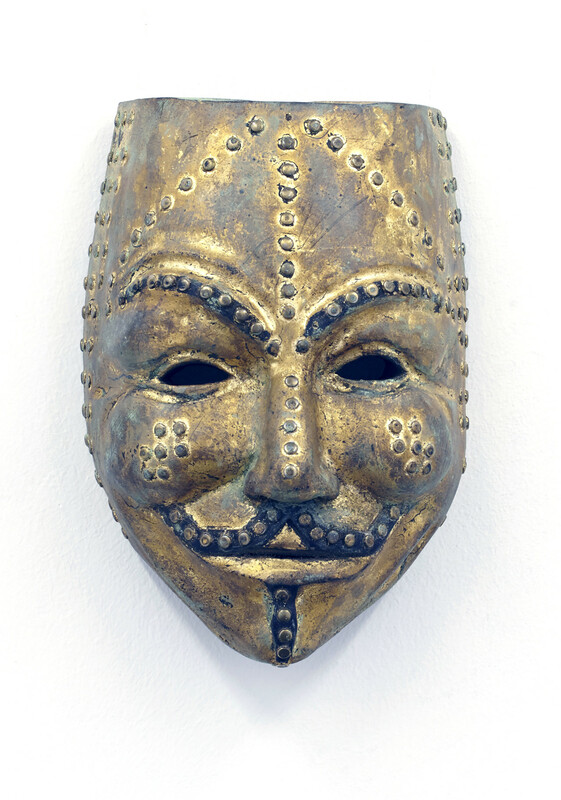 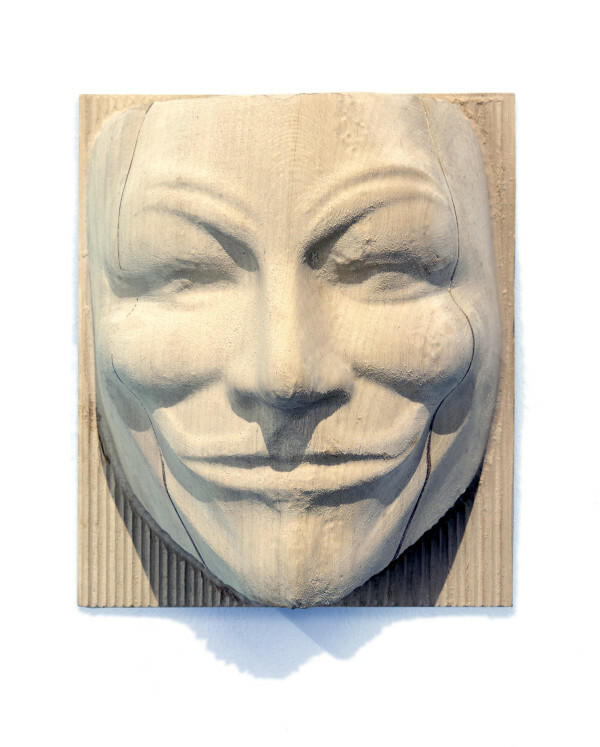 V for Vendetta has been seen by many political groups as an allegory of oppression by government; libertarians and anarchists have used it to promote their beliefs. Members of the international activist group Anonymous can be distinguished by the wearing of these Guy Fawkes masks. 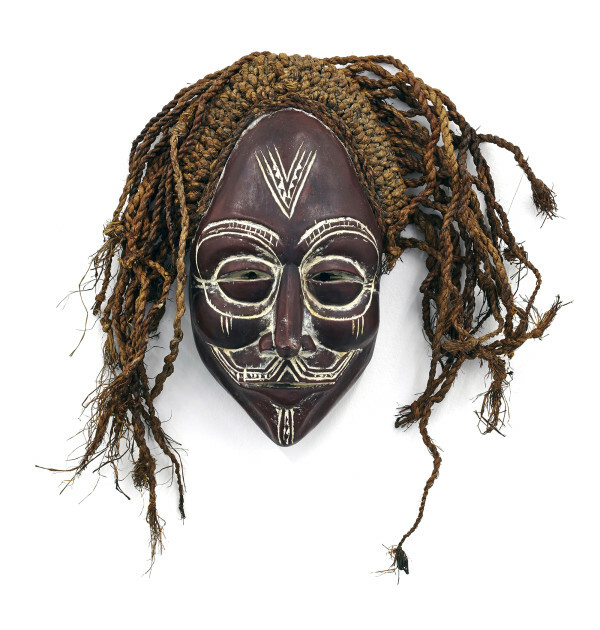 The five masks in my series reference archetypal African mask-types from different regions, including one in the style of a Malawi ebony mask; a beaded Cameroonian mask; a Benin bronze; an Ndebele mask and a mask from the Ivory Coast (left to right in the photo). 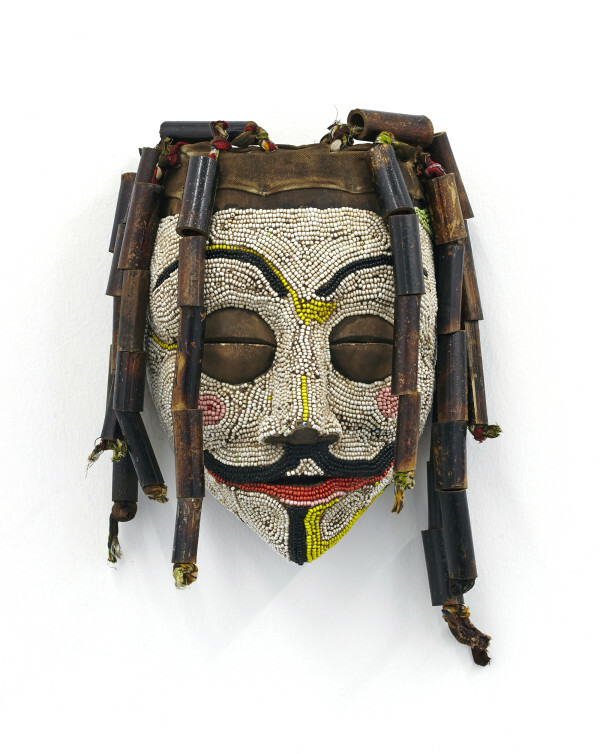 The work also refers to the way in which African masks, once rooted in particular places and practices, have become a form of commodity disconnected from their origins, made in response to a tourist market for iconic versions. 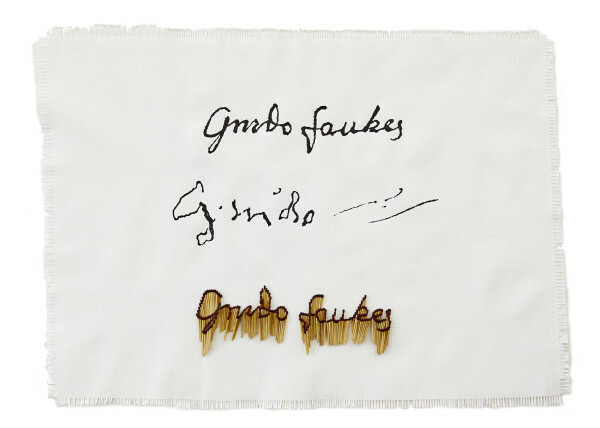 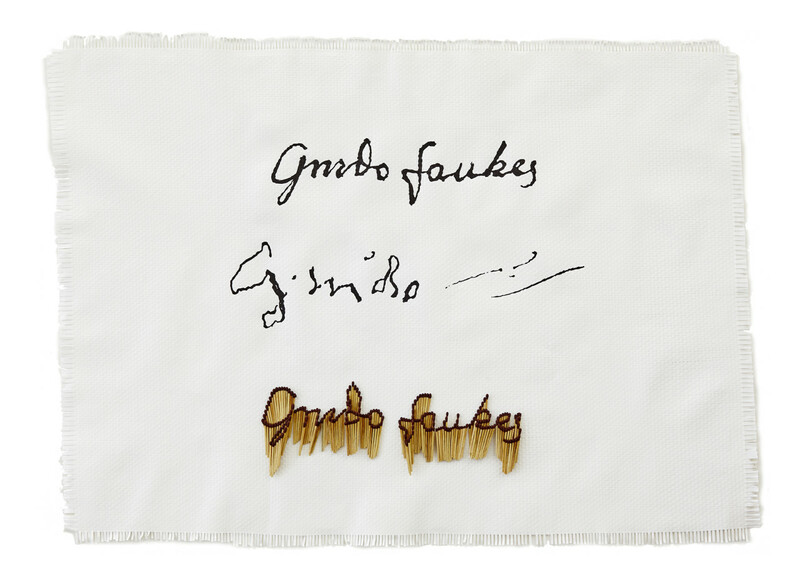 Guy Fawkes’ signature before and after torture, taken from his signed confession.